On 9 December, Mikhail Bogdanov, Russia’s Deputy Foreign Minister and Presidential Representative for the Middle East and Africa, met with a delegation of the Syrian National Dialogue Forum, which has arrived in Moscow. There was an exchange of opinions about the situation in Syria, with a focus on the outlook for the progress of the inter-Syrian dialogue, based on the Geneva Communique, dated 30 June 2012. The Russian side reiterated its proposal for Moscow as a platform for contacts between representatives of the Syrian government and the opposition as a step in the interest of invigorating the political settlement of the Syria conflict. Support was expressed for the peace efforts by Staffan de Mistura, the UN secretary general’s special envoy for Syria, including the idea of a so-called local freeze. A top Russian official said Thursday that Moscow will support a draft resolution on Palestinian statehood at the United Nations Security Council. Deputy Foreign Minister Gennady Gatilov said Russia would vote in favor of the controversial bid, which calls for an Israeli withdrawal to the 1967 lines by the end of 2017, Russian news agency Interfax reported. Moscow also expressed hope that all other members of the Security Council would support the measure and that it will not be vetoed. “As far as we understand the Palestinians, the vote may take place shortly although they have yet to set the precise date. 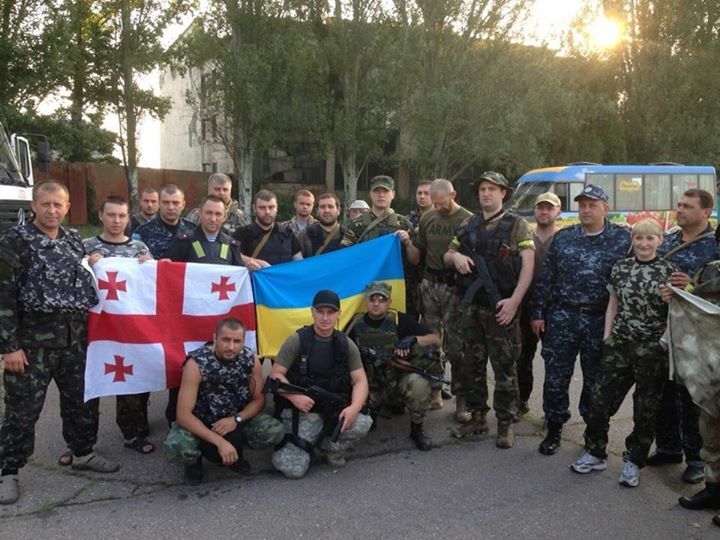 We have repeatedly said that we will vote for this resolution,” Gennady said, according to the report. Gennady said a vote could be called on the resolution within 24 hours, though officials have indicated the vote likely won’t take place until January 2015 at the earliest. Although Russia enjoys cordial relations with Jerusalem, Moscow has long championed Palestinian statehood and has been on friendly terms with the Palestinian Authority in Ramallah. The bid is widely expected to be vetoed by the US. US Secretary of State John Kerry has stated that Washington does not support the resolution in its current format, but has maintained Washington’s support for a two-state solution and hinted that the US could support alternative wording. Palestinian officials say they have come under US pressure to delay the vote at least until after Israel holds elections on March 17. However, Palestinian Foreign Minister Riyad al-Maliki said earlier this week that he had rejected Washington’s request to push off the vote. Russian Deputy Foreign Minister Mikhail Bogdanov, a colleague of Gatilov’s, had previously announced his country’s support for a UN resolution backing a Palestinian state during a Cairo conference for international donors supporting reconstruction of the Gaza Strip after this summer’s conflict between Israel and Hamas. “So we say [to Palestinians], if you find one option or another suitable, then we will support you as friends…. We think that the Palestinian case is fair, meaning that people have a right to self-determination, up to establishing their state,” Bogdanov told journalists in October. Pakistani security forces have killed a Taliban commander who allegedly facilitated the Peshawar school massacre, which left 150 people dead in the country’s worst ever terror attack, officials said Friday. Named only as “Saddam”, the militant was killed Thursday night in a gunfight with security forces in the restive Khyber tribal area, which borders the northwestern city of Peshawar where last week’s horrific attack took place. “Commander Saddam was a dreaded terrorist, who was killed in an exchange of fire with the security forces in Jamrud town of Khyber tribal region,” top local administration official Shahab Ali Shah told a press conference in Peshawar. 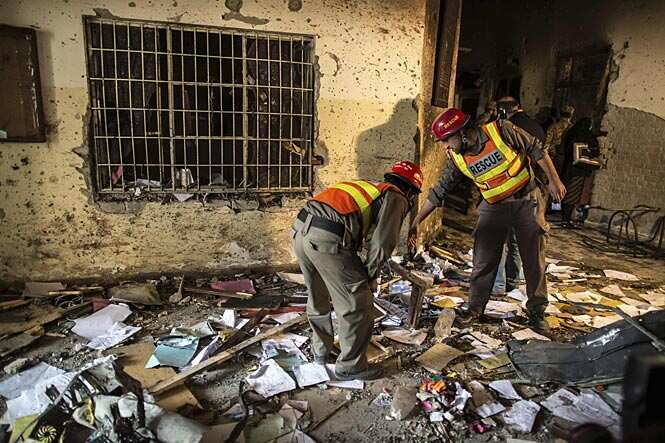 He added that Saddam is believed to have facilitated the school attack, although the extent or capacity of his alleged involvement was not yet known. “Authorities are currently interrogating the injured terrorists,” Shah said. He described Saddam as an important commander in the Pakistani Taliban, or Tehreek-e-Taliban Pakistan (TTP), and said he had masterminded several bomb attacks. Saddam and his accomplices had been involved in several recent attacks on security forces that had resulted in heavy casualties, Shah said. The Taliban and other militants have taken refuge in Khyber from a major army offensive launched in June in North Waziristan, another restive tribal area on the Afghan border that has been a hub for Al-Qaeda and Taliban militants since the early 2000s. Meanwhile, a US drone strike on a Taliban compound in North Waziristan killed at least four militants on Friday, officials said, the second such incident in a week. Another drone strike in North Waziristan on December 20 killed at least five militants, officials said. Washington pressed Islamabad for years to wipe out militant sanctuaries in North Waziristan, which have been used to launch attacks on NATO forces in Afghanistan. The Pakistani military says it has killed more than 1,700 militants so far in its heavy offensive in the tribal zone, with 126 soldiers having lost their lives. Pakistan has ramped up its anti-terror strategy in the wake of the December 16 slaughter at an army-run school in Peshawar, where 134 children were among the victims gunned down by heavily-armed Taliban militants. Prime Minister Nawaz Sharif has announced the establishment of military courts for terror-related cases in order to accelerate trials, and he has also lifted a six-year moratorium on the death penalty, reinstating it for terrorism-related cases. Officials said Monday that Pakistan plans to execute around 500 militants in the coming weeks. This morning, at about 10:30 a group of employees of the investigation department of the cases of very serious crimes General Prosecutor’s Office raided Azerbaijan in Baku Bureau of Radio “Azadlig” (Radio Free Europe/Radio Liberty (RFE/RL)). 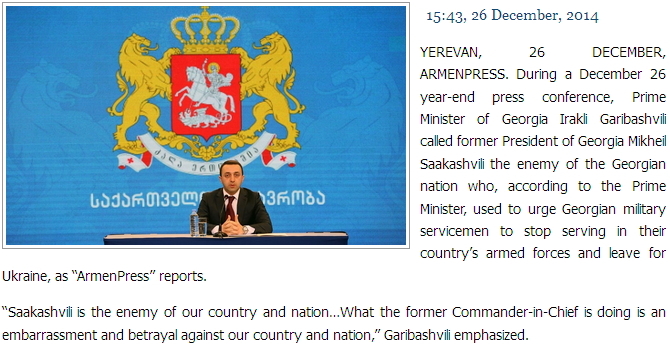 As the Vesti.Az quoting radio “Azadlig”, which were the law enforcement officers to provide a proper decision. At the same time were disconnected phones and the Internet, employees were not allowed to sit at the computer. The search was conducted in the presence of a lawyer Yalcin Imanov and witnesses. Announced that the search was conducted in connection with proceedings in a criminal case. Israeli police have fired a rubber bullet at a five-year-old Palestinian boy’s face as he was getting out of a school bus on his way home, the child’s family told Palestinian media. He sustained a skull fracture under his eye. The incident happened when Muhammad Jamal Ubeid and his 14-year-old sister stepped out of the school bus and started walking home in al-Issawiya, an Arab village and neighborhood in East Jerusalem, on Wednesday. “An Israeli soldier fired a black rubber-coated bullet at the child from a close distance, injuring him under the eye,” Muhammad’s uncle told the Palestinian Ma’an News Agency. Muhammad was taken to the nearby Hadassah Medical Center on Mount Scopus, where the doctors said the boy had a fracture in the bone below his eye. The hospital confirmed that his wound was typical of ones inflicted by rubber bullets. 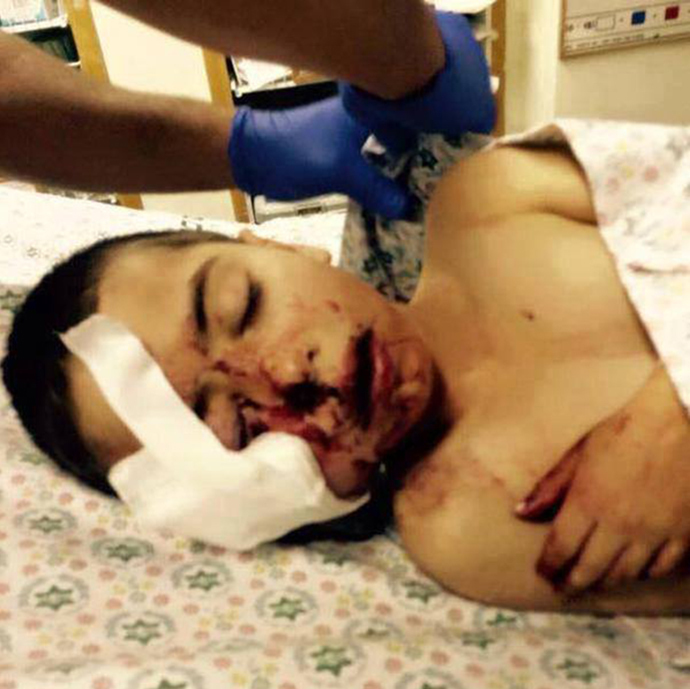 The hospital officials told Haaretz that the boy’s condition was satisfactory and he was headed for surgery. The child was later transported to the Hadassah Medical Center in the Ein Karem neighborhood, West Jerusalem. RT Paula Slier visited Muhammad a few hours after surgery in Hadassah Medical Center in the Ein Karem and talked to his parents. “He’s an innocent boy, he didn’t do anything! Why did this happen to him? I’m really worried about my son – they [Israelis] are the racists, not us!” Muhammad’s mother told RT. The village residents who witnessed the incident, told Haaretz that Muhammad was standing outside his home while Israeli police fired rubber bullets at children and teenagers. The latter were throwing stones at vehicles on nearby Ma’aleh Adumim Road. However, according to the Muhammad’s uncle, there were no clashes in the area between Palestinians and Israelis at the time of the shooting. On Thursday, Jerusalem police released a statement indicating that police officials used riot-control means. However, they didn’t confirm that the child was injured during the incident. “A new and in depth examination was conducted following the reports of an injured child being hospitalized and it was found that a number of masked [protesters] threw rocks, Molotov cocktails and shot fireworks at a border police force operating [on Wednesday] on the slopes of Isawiya, to prevent harm to citizens traveling on the road towards Ma’ale Adumim,” the police said in its statement. “It is not known if a child was injured during this incident. All the information was transferred to the [Justice Ministry] department for investigating the police,” added the statement. Ziyad Hamuri from the Jerusalem Centre for Social and Human Rights told RT there were surveillance cameras in the area, which would show that there were no clashes near the school bus where the boy was shot at. But according to Hamuri, there is little chance of justice for the injured boy, as Arabs “do not succeed” in Israeli courts, as opposed to Jewish settlers. “We fear that there is a discrimination in the Israeli law. When it comes to a settler, they have their rights, but in our side, we [Palestinians] don’t have our rights,” the activist said. Hamuri stressed that this is not the first time firearms have been used against Palestinian children, saying that their use against protesters is not justified. He wondered why the IDF prefers using bullets as opposed to riot control means such as tear gas, pointing out that the so-called rubber bullets are actually rubber-coated metal projectiles that can cause serious injury or death. “It seems that there [are] orders for them. We have seen two months before that the interior minister declared that they [police] can use such weapons against the people,” Hamuri said. According to al-Issawiya accounts, Muhammad is the second child in the area to be hit by foam-tipped bullets in the upper body, which is forbidden by police rule. 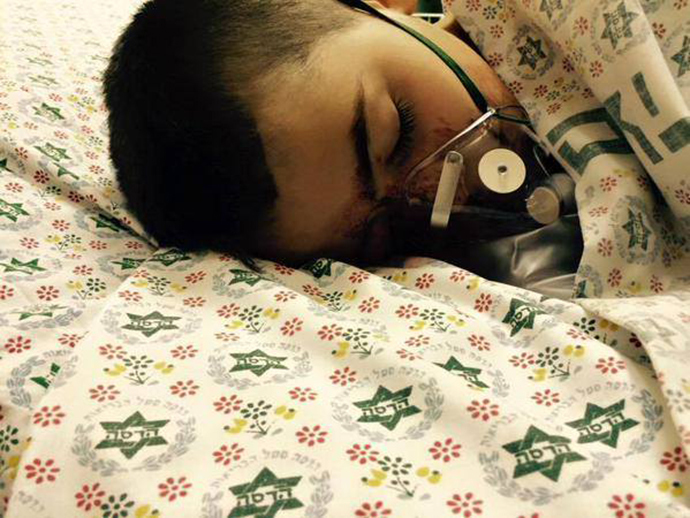 In November, an eleven-year-old was shot at a close range in the face by a sponge bullet in al-Issawiya. Saleh Samer Attiyeh Mahmoud lost his left eye and the vision of his right eye was also severely damaged. Earlier Haaretz reported that Israeli police officers were using foam-tipped bullets, which are generally used for riot control. They are harder than other kinds of bullets and are particularly dangerous for children and teenagers. Al-Issawiya, along with other East Jerusalem neighborhoods, has heavy Israeli police presence amid ongoing protests over the Israeli occupation. Israel claimed East Jerusalem during the 1967 Six-Day War, with its annexation never being recognized internationally. Since then, Israel has built numerous settlements, which are now under military regulation, with different laws applied arbitrarily to certain areas.